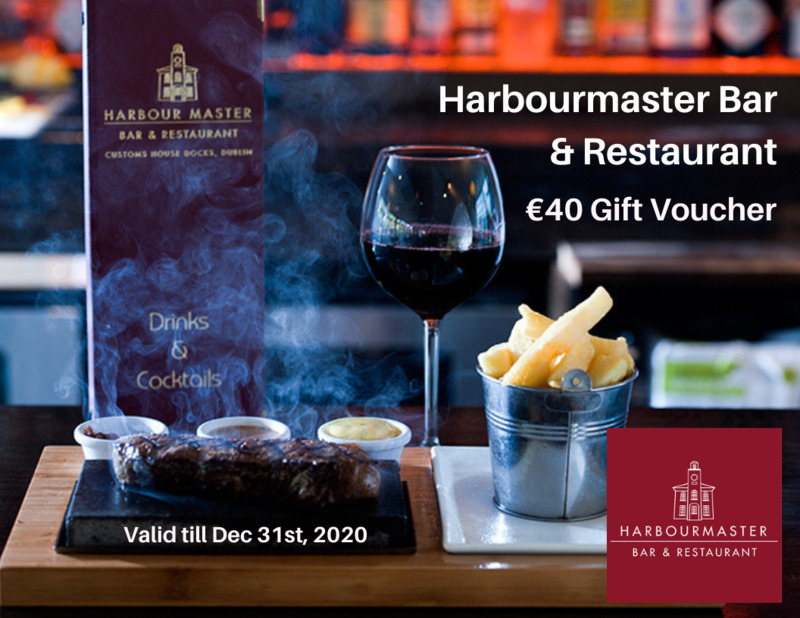 Blackout dates: April 29,30 May 22,25 June 6,7,12,13 July 5,6,7,8.Pre-booking essential and subject to availability, Steak supplement €5, Max 4 people per table, Voucher must be printed. 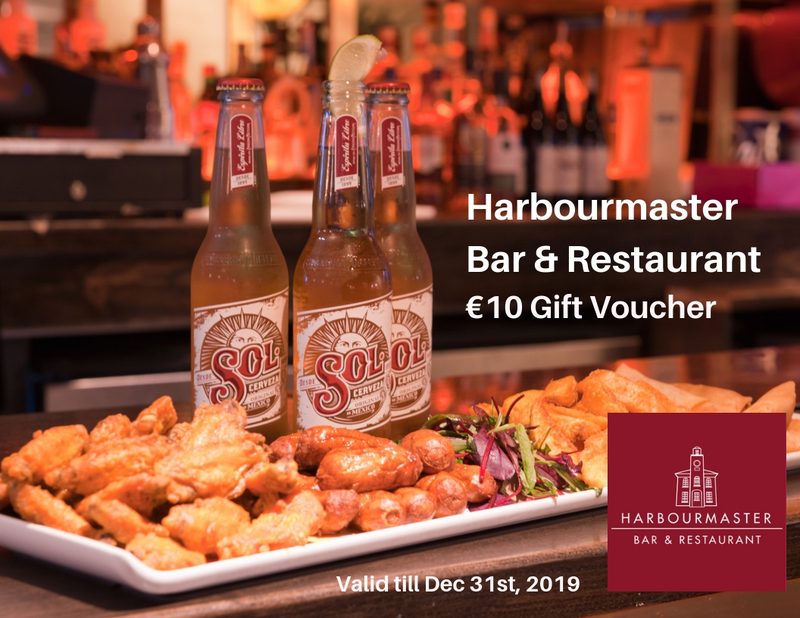 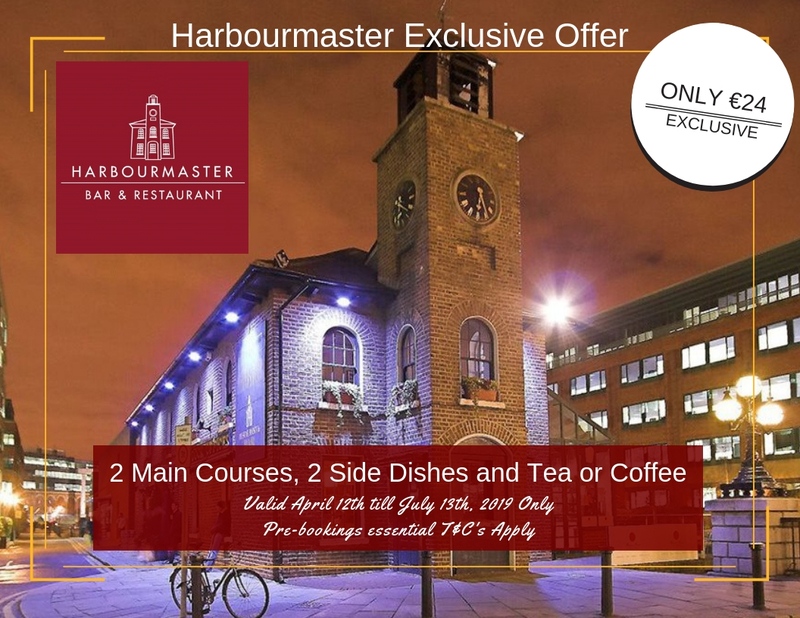 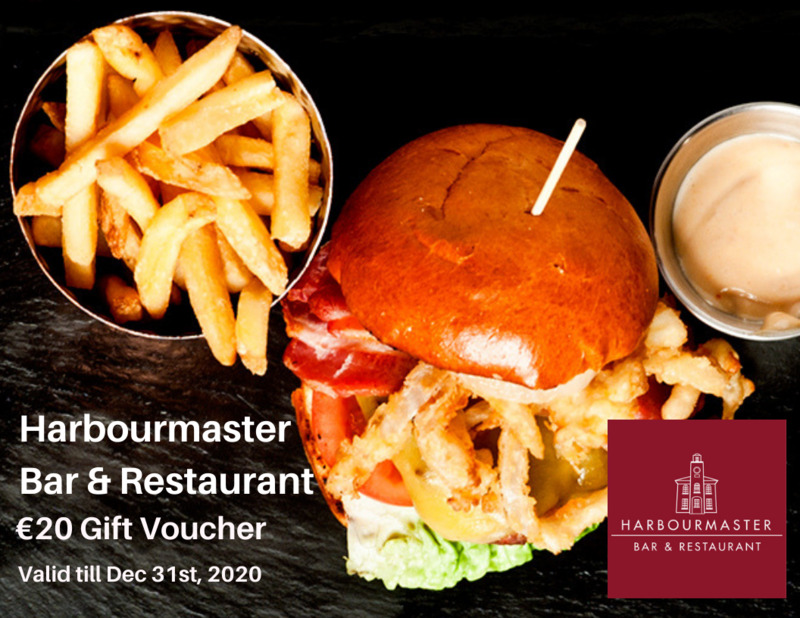 Treat someone to a Harbourmaster voucher, can be used in our Bar, Restaurant and Coffee Shop! 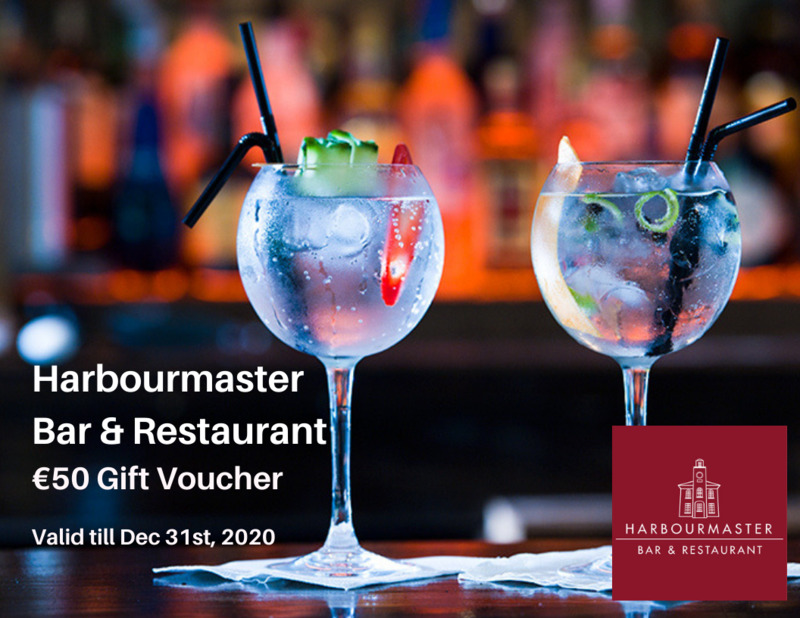 Treat someone to a Harbourmaster voucher, can be used in our Bar, Restaurant and Coffee Shop! Pre-book and bring print-out of voucher for scanning.